Exciting Wizarding World news this week from screen, stage and show. 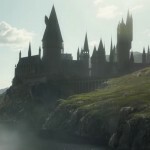 Harry Potter, the Exhibition is heading back to Spain, ticket sales and a premiere date for Cursed Child San Francisco were announced, and just a week from the digital release of Crimes of Grindelwald there was news on the delay of Fantastic Beasts 3. This week in our Harry Potter and Fantastic Beasts Actors Round-Up Eddie Redmayne promotes this year’s Red Nose Day, Daniel Radcliffe talks trick or treating and Miracle Workers, which released their first episode on YouTube ahead of the television premiere, Fiona Shaw and the cast of Killing Eve discuss comparisons between their hit series and Potter at TCA, Gary Oldman, Ezra Miller, and Katherine Waterston take on new film roles, Alfonso Cuaron takes home another win for Roma, a first look at Zoe Kravitz in season 2 of Big Little Lies, a premiere for an upcoming short film with James and Oliver Phelps, and more! Comic Relief’s annual Red Nose Day is on the way and a handful of celebrities are donning T-shirts specially designed by Disney for the occasion. One of those familiar faces is Fantastic Beasts star Eddie Redmayne, magizoologist Newt Scamander, who may not know Mickey Mouse, but certainly is friendly with a lot of fantastic animals. A portion of the proceeds from the shirts, which are available exclusively from UK retailer TK Maxx, will go to help vulnerable children and young people in the UK, and around the world through Comic Relief. Take a look at the video below, introduced by Redmayne, to learn more about the TK Maxx sustainable trade program which assists cotton farmers in Uganda. UK Red Nose Day 2019 is scheduled for Friday, March 15. We’re just days away from the premiere of the TBS comedy series starring Harry Potter himself Daniel Radcliffe and he has been making the rounds on the press tour. In fact, TBS has posted the first episode of the series on YouTube so you can get a sneak peek now! Last week Leaky covered reports of his visit to Sundance. This week Collider released an interview with Radcliffe from their visit to the Miracle Workers set as well as a stop by Jimmy Kimmel Live. The conversation with Jimmy Kimmel was more off topic, when the Radcliffe shared a Halloween story from his New York apartment building. Take a listen below; we definitely wish we went trick or treating at his house! 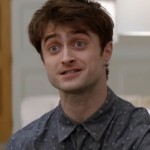 Miracle Workers premieres on TBS Tuesday, February 12 and the full Collider interview with Daniel Radcliffe can be found here. 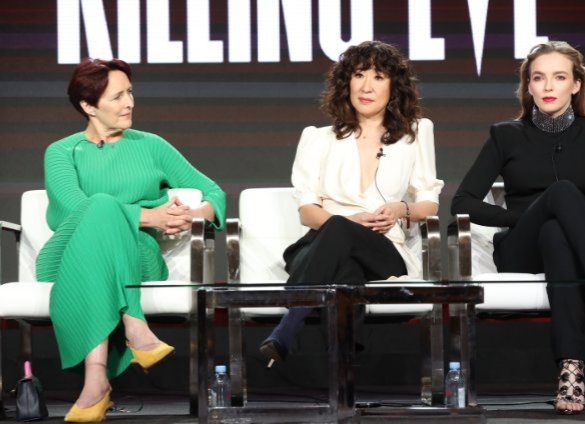 Even more of a reason for Potter fans to tune in to Killing Eve when it returns to BBC America Sunday, April 7! A drug trafficker arranges a multi-cartel Fentanyl smuggling operation between Canada and the U.S.; an architect recovering from an OxyContin addiction tracks down the truth behind her son’s involvement with narcotics; and a university professor battles unexpected revelations about his employer, a drug company with deep government influence bringing a new “non-addictive” painkiller to market. 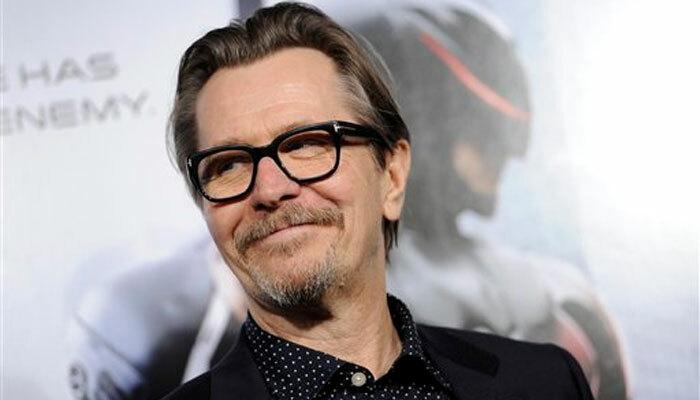 No word yet which of those characters will be played by Oldman.The film is currently in principal photography and due out in 2020. Fans will be able to Padfoot later this month when he presents the award for Best Actress at the 2019 Academy Awards ceremony Sunday, February 24. The Academy recently confirm his participation after earlier making an announcement that they would be making changes in some of their long-standing presentation traditions, bringing in more high profile talent to announce the big awards. We’re glad they decided to have Oldman back! 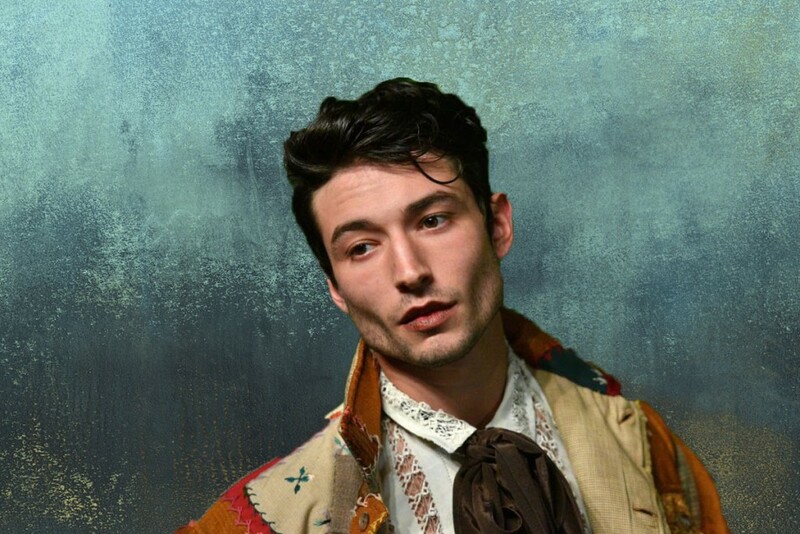 We can completely envision Ezra Miller in this role and look forward to keeping you posted its status. Zoe Kravitz may not be returning as Leta LeStrange in Fantastic Beasts but she appears alive and well (maybe not completely well after the season one finale) in the first image revealed from the HBO award-winning series Big Little Lies. Kravitz, who plays Bonnie Carlson is pictured with the rest of the all star cast for the show set in Monterrey, California. According to Deadline, the program’s creatives announced at this year’s Television Critics Association Conference earlier this week that there are no plans for a third season of the wildly successful series. Fans can get more of Zoe Kravitz when season two of Big Little Lies will air on HBO this June. The film is based on a short story of the same name from author Jim Shepard, who co-wrote the feature with Ron Hansen, and tells the story of two women who become very close while living in an isolated mid-19th century America. No release date has been announced for the film. We love when Potter alum meet up on screen! Can you imagine a face off between He Must Not Be Named and Xenophilius Lovegood? Well that’s what fans might get with the third installment of the Kingsman series. According to Deadline filming has begun on the prequel that’s set to explore the origins of the Kingsman organization in the early 1900s and up to WWI. 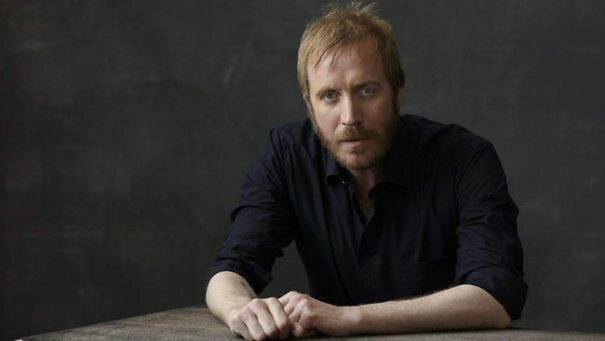 The films stars Ralph Fiennes, Harry Potter’s Dark Lord Voldemort rumored to play ringleader of the group, as well as Rhys Ifans who played Luna Lovegood’s father in Harry Potter and the Deathly Hallows Part 1 as dangerous and manipulative Russian mystic. The Kingman prequel is scheduled to open in theaters November 8, 2019. James and Oliver Phelps, who of course are known to Potter fans as Weasley twins Fred and George, both appear in upcoming short film, 7 Days, the inspiring story of Blind Dave Heely, the first visually impaired man to run seven marathons in seven days on seven continents. Oliver plays a young Dave Heely’s physician, Dr. Mathews and James plays Captain Williams who Heely also came in contact with as a young boy in the 45 minute feature which had its premiere earlier this week. Take a look at the trailer for the film below which plans to the public in May. Will Robert Pattinson, the ill-fated Hufflepuff Triwizard Champion in Harry Potter and the Goblet of Fire, be the next Batman? It seems to be the entertainment industry rumor of the week since popular fan art illustrator BossLogic, who sounds like he has some connections to powers that be, indicated that Pattinson was being considered for the role along with others on the shortlist such as Mad Men’s Jon Hamm and Armie Hammer of Call Me By Your Name fame. His imagined movie poster for the film below only fanned the rumor flames. What do you think of Robert Pattinson taking on the mask and cape after Ben Affleck’s departure in the 2021 Batman standalone film? A refugee finds refuge from war in a dilapidated house caring for a woman and her dying mother. He suspects the younger woman is enslaved by a demon, but everything is not what it seems. Outside is currently in post-production and a release date is TBD. James (Simpson), a young grifter, as he attempts to prey upon Pastor Byron Brown (Kingsley), who turns out to be far more dangerous than he suspects. The pastor and his wife Lillian (Weaver)—known to their parishioners as Pa and Ma—have used religion to bilk hundreds of innocent people out of their life savings. 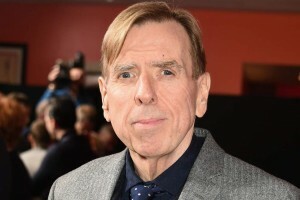 Spall will play Donny. After being released from decades of incarceration, Donny chooses to spend his final years of freedom exacting revenge on the man who betrayed and imprisoned him – Pa (Kingsley). Our Lady, LTD is currently being filmed in New Mexico. Harry Melling, who Potter fans know best as Harry’s Muggle cousin Dudley Dursley, has a somewhat mysterious role in the upcoming film The Keeper, based on the true story of former German professional footballer Bert Trautmann, who signed with English team Manchester City soon after fighting against the Allies in WWII but ended up a legend after winning the 1956 FA Cup Final with a broken neck. Take a look at the trailer for the film below where you can get a glimpse of Melling at a desk in uniform. 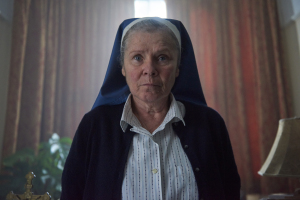 The Keeper opens in UK theaters April 5th. That’s all the news this week from the Harry Potter and Fantastic Beasts actors on screen. Take a look at their work on stage in our latest Theater Round-Up.